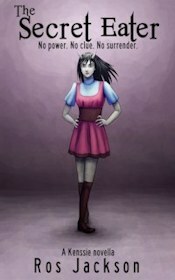 Servant of the Bones is the story of Azriel, a spirit who was once a mortal man in ancient Babylon. It's told as an interview, in a similar format to Interview with the Vampire. Jonathan is a scholar in his sixties has gone into seclusion to complete some work. When he's brought down by a fever Azriel appears and nurses him towards health. The spirit want to tell his life story to someone who will record it faithfully. It all begins in the exotic and opulent setting of Babylon, full of temples and priests. Azriel was a scribe, and one of the rich Hebrews exiled from Jerusalem. It was a time when Babylonians believed that the god Marduk built their city, and people were superstitious about evil spirits. But Azriel discovered he had a connection with the spiritual world. This connection seals his fate when he is selected for a sacrifice. 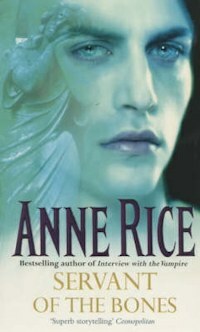 Anne Rice dwells on the cruelty of Azriel's death, which he faces willingly in order to save his people. The terror of what will happen to him contrasts with the strange richness of the act that will transform him into the creature he becomes. Not quite a genie or a mere ghost, he becomes something more akin to an angel, or a demon. Through the centuries he serves a number of masters, occasionally learning from them but often turning on those who call him and hope to control him. But for long periods he lies dormant, sleeping within a pile of golden bones because its keepers are too afraid to call him. In modern times a young woman is murdered, and Azriel is called out into the world once more. He sets out to uncover the mystery of Esther Belkin's death, and to find out what it has to do with her father's sinister cult, the Temple of the Mind. Azriel also wants to know who called him, and what the death of this woman has to do with him. Although Servant of the Bones gets off to a cracking start due to Rice's intriguing depiction of the ancient world, it soon goes off the boil. The middle of the book drags, as Azriel recounts his experiences with some of his kinder masters. There seems to be little connection between earlier events and happenings in the 20th century, so we are left wondering when the author will get on with dealing with the mystery she has set up. Crucially, although Azriel is a sympathetic character he fails to evoke much of an emotional response because he's just too powerful. Since he's already dead, and able to bounce back from disintegration with little more than a bit of concentration, we know that there's very little that could hurt him. This removes a lot of the tension that might otherwise have built up. His main weakness is a poor memory, which makes him seem a little vague and confused. But he's not very vulnerable. Gregory Belkin, the leader of the Temple of the Mind, is a charismatic leader who thinks he has a mission and a special destiny. He's an egomaniac, but he's so thoroughly self-obsessed that he's not very interesting. He may have duped all of his followers, but his close family know him all too well. Some of them believe he's rotten to the core. As villains go, he's not the most compelling or multifaceted. Servant of the Bones is quite a diffuse, meandering tale. The interview format doesn't appear to have much relevance: Jonathan could have been edited out altogether for all the role he has in enhancing this story. The plot does eventually come together to make some kind of sense. But in the end this novel is like a ghost itself, insubstantial and vapid. What if Cleopatra became an immortal monster?